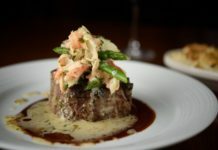 SMALL BITE: Going to see “Hamilton?” The Florentine is within walking distance of the Theater District and is the place to go before or after the show. 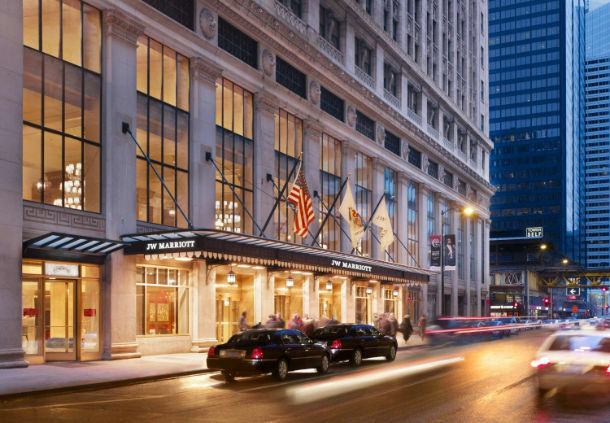 It is truly a hidden gem, located inside JW Marriott Chicago off West Adams Street, close to the Loop. 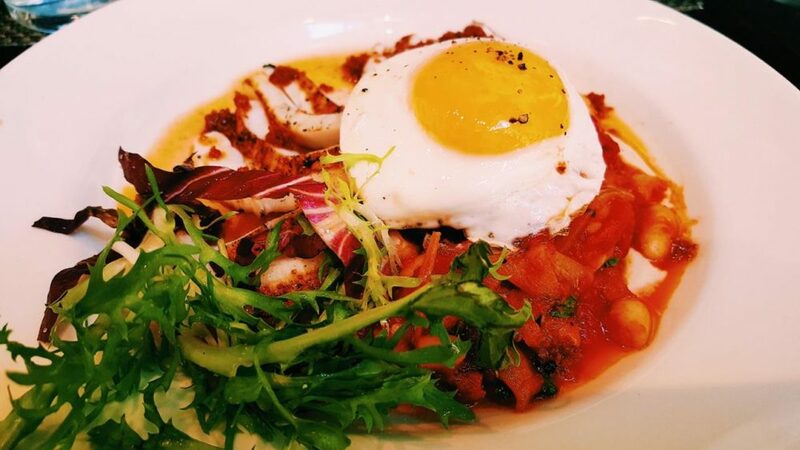 If you love modern Italian food, Florentine hits the mark with its homemade pastas, fresh meats, succulent seafood and wood-fired pizzas. You can order food at the bar, too! 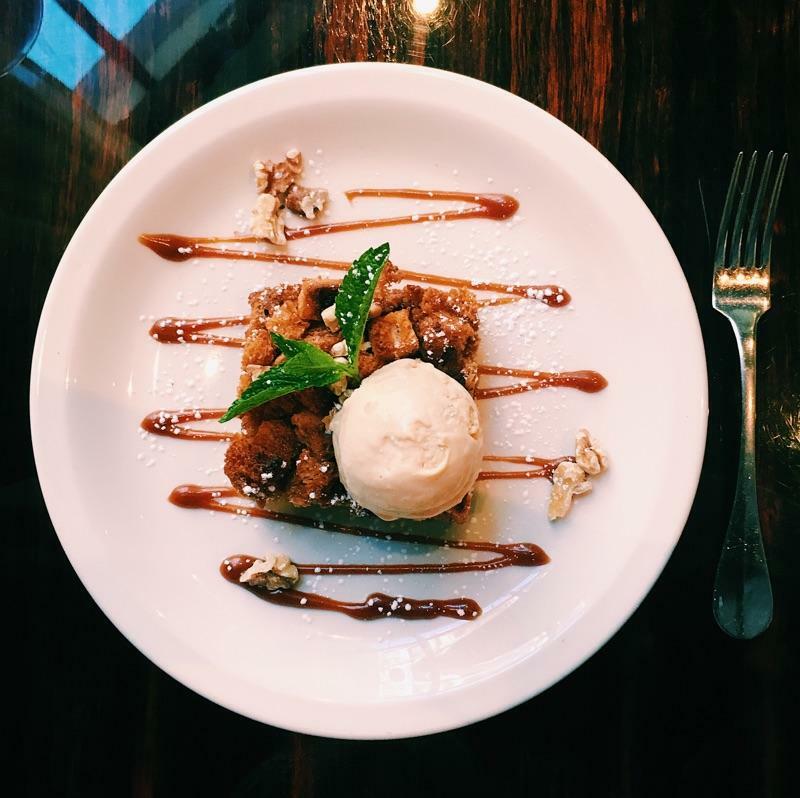 They serve breakfast, lunch, dinner, weekend brunch and GREAT desserts (Bread Pudding below). 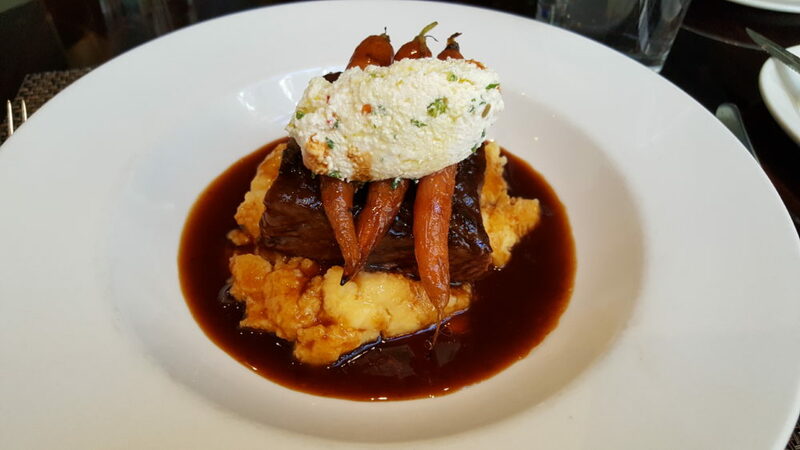 SIGNATURE DISH: So many great dishes to choose from! 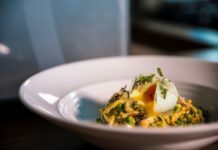 But some clear standouts include starters like Butternut Squash Soup and Calamari alla Griglia, with cannellini beans, peperonata, gaeta olives, sunnyside egg and frisée (top photo); the Short Rib, a super-tender slice of beef accompanied by creamy polenta, baby carrots, ricotta and salsa verde (photo below); vegetarians will rejoice over Cauliflower Steak Romesco, ceci beans, olives, capers, golden raisins and lemon. 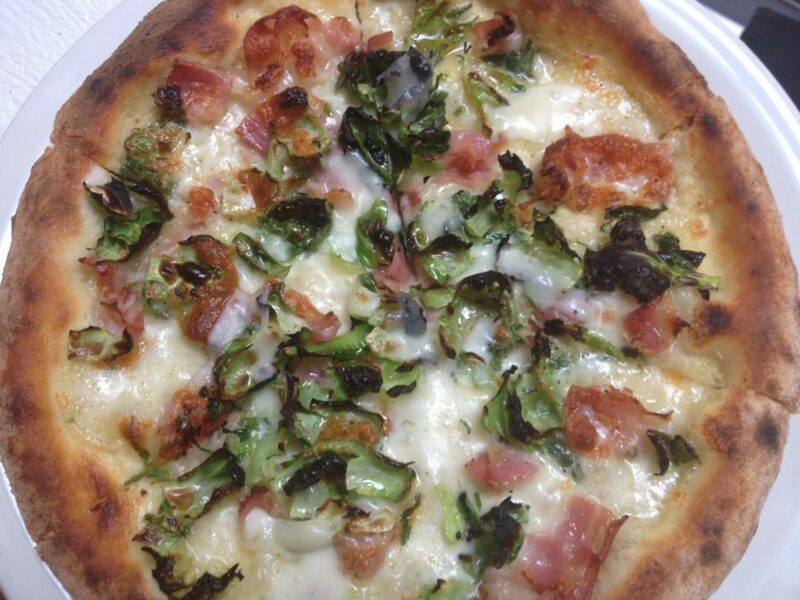 FOOD FOR THOUGHT: FREE Happy Hour pizza, Monday through Friday, 4:00 to 6:00 p.m. (Parties of five or more share two pizzas; Brussels Sprouts pizza shown below.) 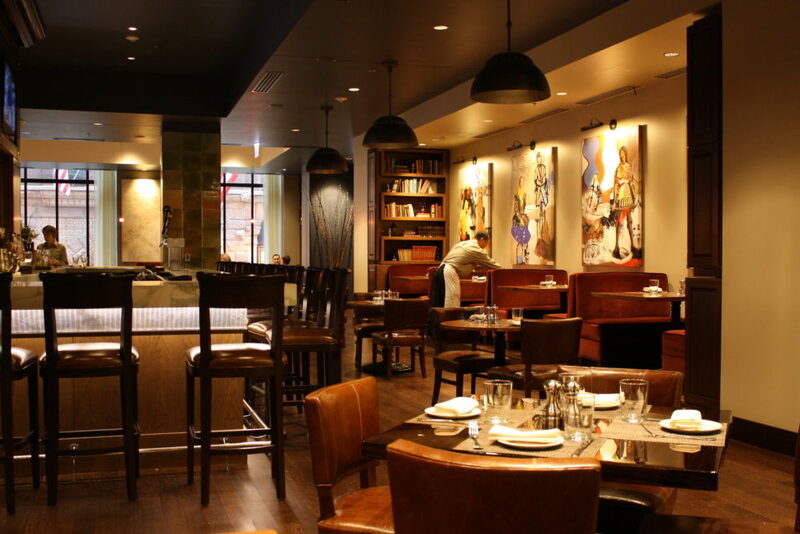 The Florentine has scooped up several prestigious awards, including “Best New Italian Restaurant” in Chicago. Rent the 20-seat private dining room with a 42” plasma TV for those very special occasions where you want to share photos and videos. 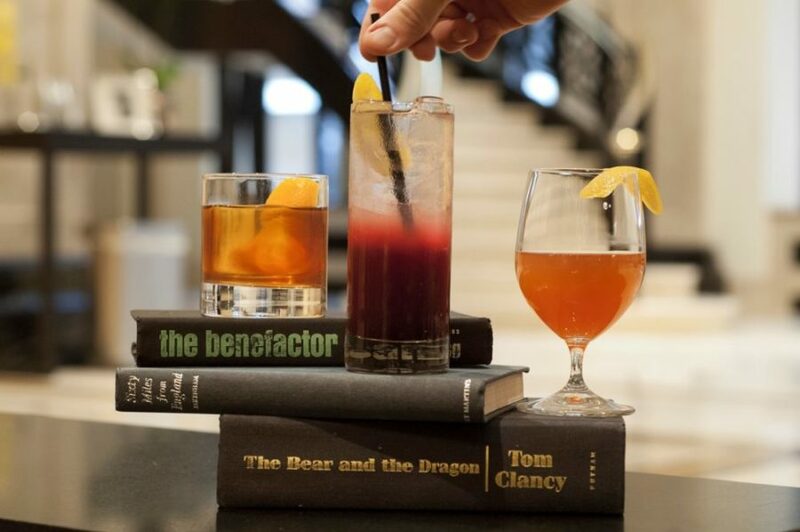 Raise a toast to the signature cocktails inspired by Chicago architecture and history. And ask about the customized chef’s dinner! 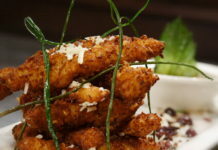 Lunch: Monday through Friday, 11:00 a.m. – 2:30 p.m.
Dinner: Monday through Thursday, 5:00 p.m. – 11:00 p.m.
Brunch: Saturday and Sunday, 11:00 a.m. – 2:00 p.m.
ABOUT JW Marriott Chicago: A luxury hotel in downtown Chicago near the financial district, the JW Marriott recently underwent a $396 million renovation. 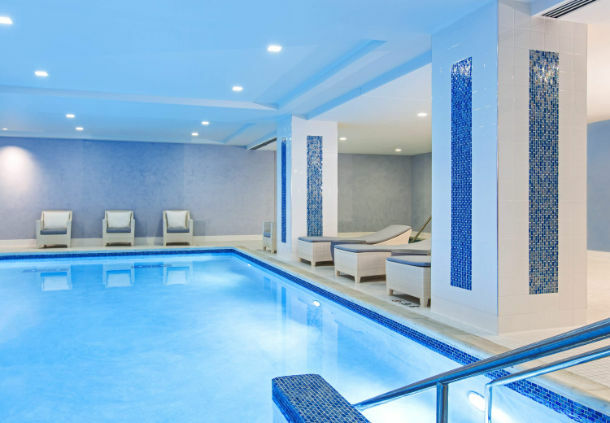 The obsessive attention to detail includes domed-ceiling ballrooms, a full-service spa, fitness center, pool and meeting event space. 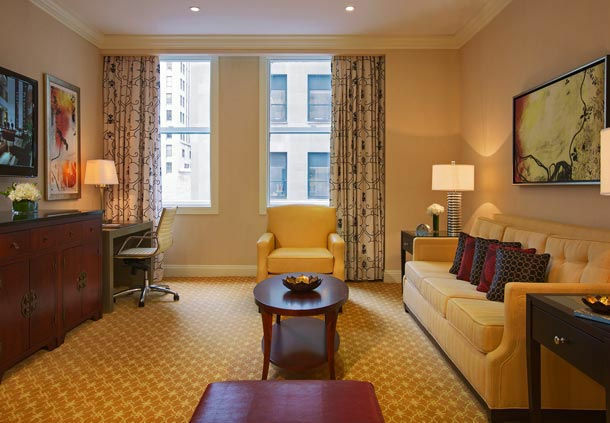 The hotel offers 581 rooms and 29 suites.